It’s important that everyone who owns, manages, or is in charge of a soft serve machine, frozen yogurt machine, or any type of ice cream machine understands the equipment’s safety and maintenance requirements. There are several objectives when it comes to running an establishment that offers frozen yogurt or soft serve ice cream. The most important is that the soft serve machines function correctly and safely at all times. Also important is the method by which the soft serve machines are cleaned. Of course, you also want your soft serve machines to produce delicious ice cream or frozen yogurt that is the correct consistency and flavor. unique. But there are several general tips that apply to all soft serve machines – no matter their brand, or how large, small, new or old they are. Know how to correctly operate your soft serve machines. It’s essential that you and all of your employees know how to safely and correctly operate your soft serve machines. if you are not completely knowledgeable about your machines, ask a certified soft serve machine technician for advice and guidance. Many ice cream machine manufacturers offer training sessions. For example, any customer who purchases one or more soft serve machines from Forte Supply receives a free training and set-up session with a Forte certified trainer. The trainer will arrive at your shop in person, and train you on how to clean, maintain, and use the ice cream machines that you purchased. Don’t expect your employees to automatically know how to operate and clean your establishment’s frozen yogurt machines or ice cream machines. 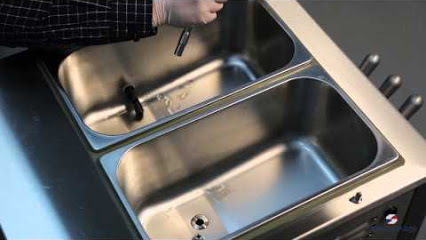 Even if your employees have experience using and cleaning soft serve machines, they won’t necessarily know how to safely use the specific machines that are in your shop. You don’t want your employees to get hurt, your machines to fail, or your customers to be provided with soft serve that is not top-notch as a result of improper handling or maintenance of your machines by your employees. 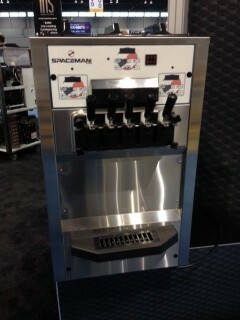 If you need help with your soft serve frozen yogurt machines or ice cream machines, ask for it! Some, but not all, ice cream machine manufacturers offer a phone line for questions or to schedule service or maintenance with a soft serve machine technician. If you don’t understand anything about your soft serve machines, or you think they need repair, don’t hesitate to call and ask for help. The Seasons are Changing – Get Ready for soft serve ice cream machines with Favorite Fall Flavors! Soft Serve Ice Cream Mixed With Nutella? Sounds Too Good to be True!